Gonzalez officially launched her campaign at Bishop Park in Athens on Saturday. The 117th House District includes three of Oconee County’s 13 precincts, Athens Academy, Malcom Bridge and Bogart, as well as small parts of Barrow and Jackson counties. The dominant part of the 117th district is in Athens-Clarke County. 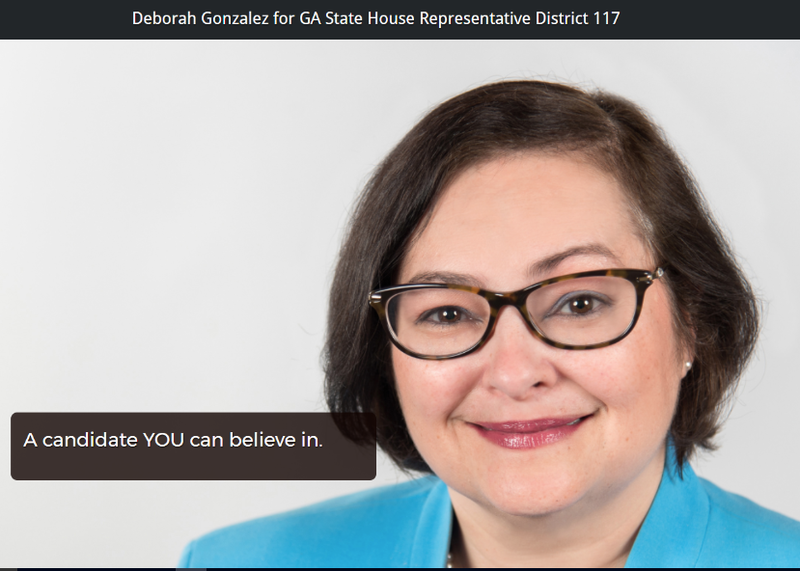 According to her web site, Gonzalez plans to focus on health, education, jobs and Internet security and Information Technology infrastructure. Gonzalez has been an attorney for more than 20 years, focusing on media and entertainment and on social media and technology. She graduated from New York Law School and is licensed to practice in New York and Georgia. Her book, “Managing Online Risk: Apps, Mobile, and Social Media Security,” was published by Elsevier in 2015. The Republican-controlled legislature split Oconee County between the 117th and 119th House districts following the 2010 Census to increase the chances that Republicans could hold both seats. Clarke County is the largest part of both districts, but the 119th District is nearly equally divided between the two counties and is represented by Chuck Williams, an Oconee County Republican. Williams said if the "group" remains energized it could have impact on upcoming local elections. Neither Williams nor Quick has had primary or general election opposition. Oconee County Democrats will host a workshop at its meeting on June 20 to help inform people about the process of running for office. Participants will be Norman Garrett, Monroe Council member and Walton County Democratic Party chair, Spencer Frye, a Democrat who represents Athens-Clarke County in House District 118, and Penny Mills from Oconee County. Mills, who holds a doctorate in political science, ran unsuccessfully for the Oconee County Board of Commissioners in the Republican primary last spring. The meeting will be held from 6:30 to 8 p.m. at the Government Annex Building on SR 15 on the south side of Watkinsville. As a staunch Republican, I am actually pleased to see a qualified Democrat finally run for office around here. A real campaign will up the game, with scrutiny of issues and arguments pro/con over them. Spencer Frye showing up will add some color to the goings on. Best of luck Deborah. All citizens in the State of Georgia will benefit from your service. Thank you staunch Republican. I think if we can see some competition in the races, it will "feel"more like a democracy. What I hope is that all candidates regardless of party can present values that most of us honor - such as fairness and justice. Those of us who know Spencer Frye feel that he has high values, and he expresses concern for all his constituents. Thanks for welcoming some healthy competition. Deborah Gonzalez, like Spencer, is a worthy candidate. And thank you, Margaret. I look forward to a good, positive campaign. I am dismayed at the current campaign for GA-6. There has been miniscule attention to issues. All it has been is a mud-slinging contest. Here's to a good, clean campaign. May the better person win. A community forum featuring Deborah Gonzalez will be held at the Oconee Public Library, 7-9 p.m., Tuesday, June 27th. I will moderate the forum, which is open to the public and intended for Ms. Gonzalez to hear issues and concerns of importance to residents of Oconee County. Interns will keep notes from the conversation to help shape the campaign platform. Everyone is welcome.